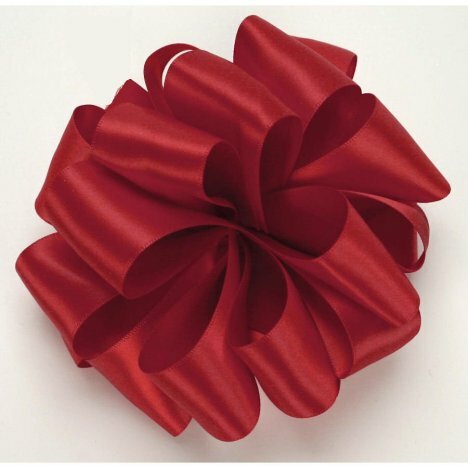 Florists use inexpensive, single faced satin - the bows you commonly see in a bouquet of flowers. It comes in a wide array of colors, is cheap with lots of yardage on the bolt and is easily twisted into a crisp bow. 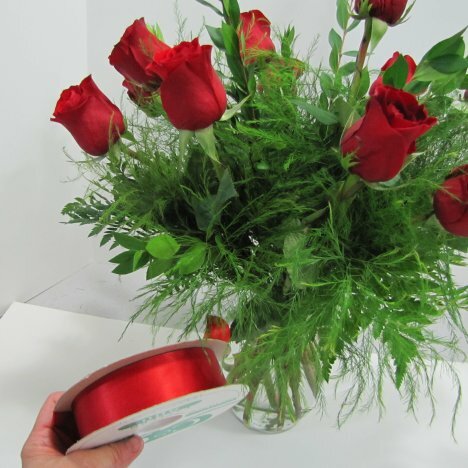 Florists typically refer to the ribbon widths used on vases as #40 (usually 2 1/2" to 3" wide) or #9 (1 1/2" wide). The larger width takes less loops, but the narrower ribbon comes with more yardage. 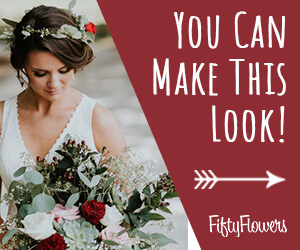 So it's really your personal preference as to which size you put into your bouquet. I do have a bow making tutorial walking you through each stem. You can also buy solid colored pew bows or Bi-Colored Pew Bows if you need to save time. 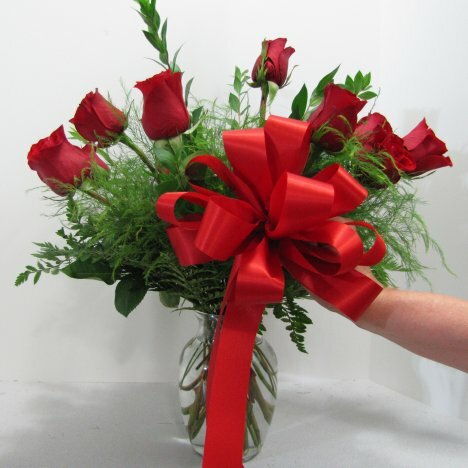 Just keep your bow loop in proportion to the size of the flower vase or you'll overpower the flowers. Remember - THEY are the focus of the design - not the ribbon. Leave yourself a long wire down out of the bow. This gives you a stem to insert into the vase. It's a good idea to turn the bottom ends of the wire up, since they can easily catch on greenery and accidentally drag it down into the water. Just slip the bow in from the side and fluff out the loops. Cut the ribbon off at either a straight angle or a "V" cut. 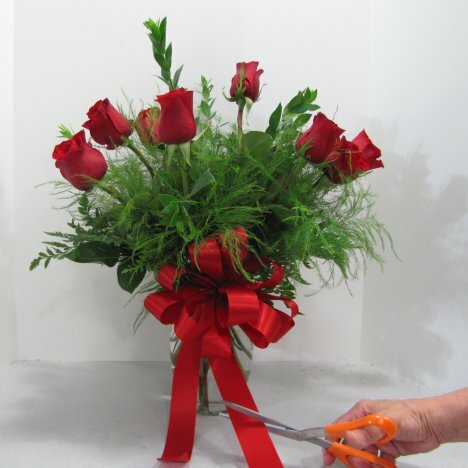 Keep a pair of shear especially for ribbon, not using them on wire or flower stems. 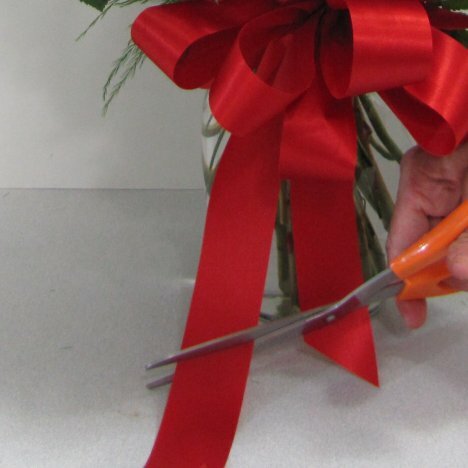 Your ribbon then will always have a clean, crisp edge with no fraying.